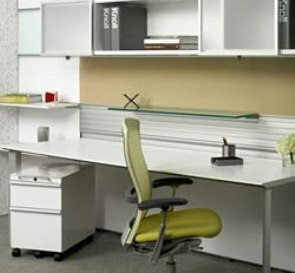 Large office or tiny cubicle, we could all use some tips for making your office space more efficient. We all know how stressful a chaotic work environment can be, and this made all the worse when the chaos spills over into our personal workspace. Scattered papers and writing utensils can sometimes reinforce the anxiety that comes from a stressful work day. Let’s consider some ways to manage that! This might seem obvious, but if your workplace is suffering from a serious organization problem it worth considering whether you are making full and proper use of organization tools. In addition to classic items such as the filling cabinet and bookshelf you might want to consider something unconventional such as re-purposing a coffee mug into a pencil holder or purchasing a set of cubbies to organize technical manuals. What I mean here is that you may want to consider how the placement of objects in your office affects how you use them. For example, if you place your shredder near the door, but keep papers which need to be shredded on a desk on the other side of your office, then it is more likely that the paperwork will pile up as you put off the necessary act of shredding them. Keeping frequently used items readily accessible will cut down on the time you spend completing small tasks and change the way you think about your work space! Do you like the way your work place looks? If not, then perhaps it is time to consider what you can do about that. Thinking about things like the arrangement of furniture and the placement of decorative items can prove a valuable use of your time. Something as small as an out of place chair or clunky arrangement of desks can affect your state of mind and professional performance. I think we can all agree that working in space of our own design is a great deal more comfortable than working in a pre-set, cookie cutter environment. Perhaps it is time to speak with your supervisor about how you can personalize the look and flow of your work space. One thing that is sure to make your workspace more relaxing is making it more home like. Perhaps a comfier ergonomic chair or a decoration from will liven up your office, desk or cubical. A framed picture of you with your friends or loved ones can also do wonders for your mood and provide that extra bit of motivation that you need to make it through the day! In this article we have discussed just a few tips for making an office space more efficient. At the end of the day it is important to ask yourself what you are looking for in a work space. By considering things like the flow of your furniture, accessibility of commonly used items and how you are making use of organizational tools you can make your workspace conducive to productivity and prosperity.